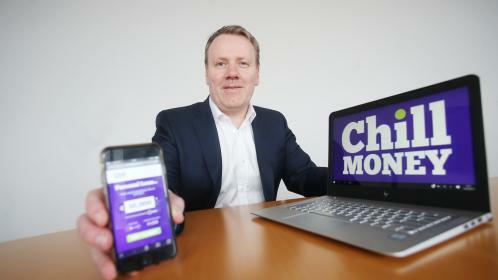 Chill, the insurance broker, is set to launch a online platform that can process loans from €3,000 to €50,000 in one day in a bid to shake up the personal loans market. The company said that it was the first non-bank lender to enter the market. Chill Money can establish whether consumers qualify for a loan in less than four minutes. Funds are transferred to successful applicants within 24 hours. To qualify for a loan customers must be over 18, live in the Republic and have a net monthly income of at least €1,450. The application process involves uploading documents such as utility bills and a driving licence. Fergal Lynch, general manager of Chill Money, said that the move would shake up the Irish personal finance sector. “Consumer confidence is on the rise so people want to borrow again to fund purchases such as cars, home improvements or special events like weddings,” he said. Chill said that the move into personal loans was part of its ongoing strategy to build its reputation as a consumer business. It is expected to create up to 50 jobs at the insurance company in the next year. AvantCard, the Leitrim-based credit card and loan provider, will act as the lender and servicer for Chill Money loans. Interest on the loans will be set at 12.9 per cent APR for sums up to €9,999, 11.5 per cent between €10,000 and €20,000, and 8.9 per cent between €20,000 and €50,000. Chill aims to make it much easier and faster to secure a loan through its new platform than through a bank or credit union. The move will put further pressure on lenders that offer high-interest loans to people in financial distress. An estimated 400,000 people across the country use such lenders. Leo Varadkar, the social protection minister, announced a state-backed loan scheme last year that offers loans of up to €2,000. The “It Makes Sense” scheme was set up to help people avoid using moneylenders, some of which are not regulated by the Central Bank. The low-interest loans are offered by credit unions and repayments are taken out of applicants’ social welfare payments. About 100 credit unions have signed up to the initiative. The Central Bank is set to launch a review of its Consumer Protection Code for licensed moneylenders to establish whether the rules around short-term lending need to be strengthened.